We cleaned over 600 roses alone and it was worth every scratch and heavy bucket. We’re not sure if we can trust anyone who doesn’t like dogs or roses. No, it’s not too late to call to order flowers for pick up or delivery tomorrow! 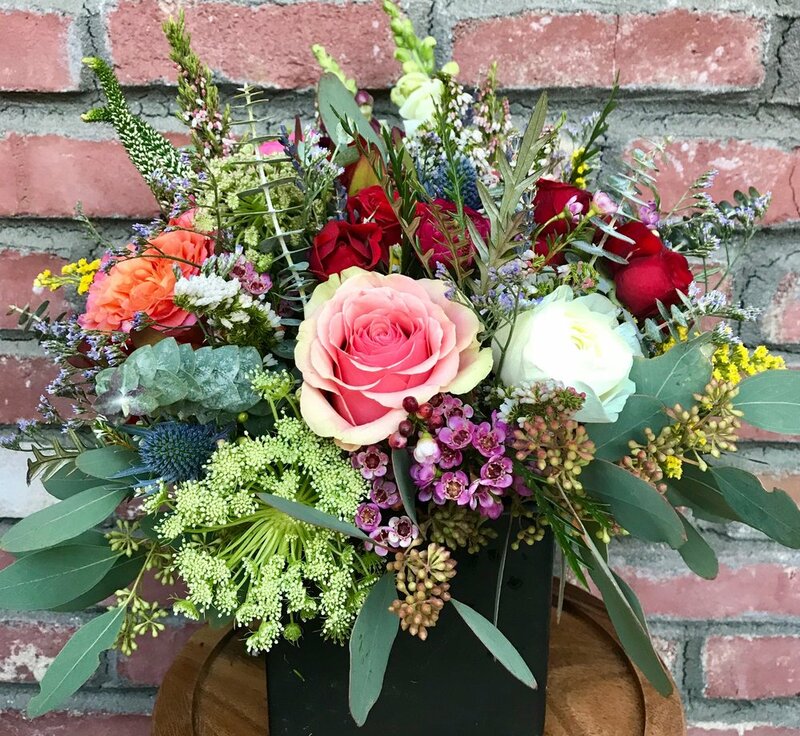 All roses are accompanied by our lush wild greens assortment. Please contact us to reserve a special color or flower. Our signature red rose variety, Hearts, is a luscious garden-style bloom with large rosettes and multi-layered ruffled petals. In addition to red Hearts, we offer premium roses in various Valentine’s Day colors, standard and ruffled Tulips, and our ever-popular Mixed Signature Blooms!